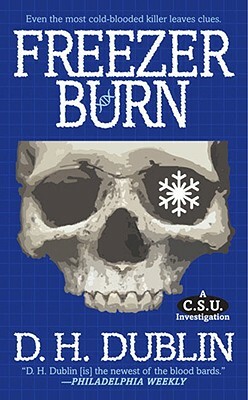 From the author of Blood Poison comes a new forensics case in the C.S.U. Investigations. A bag full of body parts. A man thrown from a car. A shriveled corpse. A gangster, tortured and killed. Besides the fact that the C.S.U. found them on the same day, it seems the cases have nothing in common. But, when interwoven, they point to a plot more elaborate than anything C.S.U. newbie Madison Cross has seen. To investigate, she'll have to descend into Philly's underworld of gang brutality, then rise to the highest echelon of organized crime. But both the gang and the killer hope to see her eliminated, once and for all.